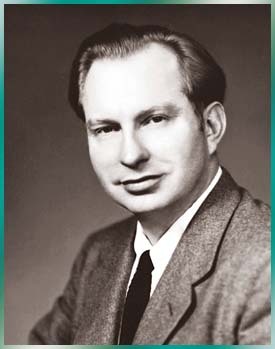 Concurrently, however, and at every conceivable opportunity, he continued to utilize the techniques of Dianetics to search out an answer. His working theory was axiomatic. If Dianetics could now be defined as "a very exact analytical approach to problems of the mind," then it could also be counted upon to provide a solution to what one might term the "criminal mind." And from that premise came a series of therapeutic tests actually conducted on those Main Street residents. Preliminary results were intriguing; for notwithstanding apparent correlations between the abused child and later delinquency, the criminals common denominator lay not in what was done to the child, but rather what the child did. By way of example (and almost certainly drawn directly from research) he tells of a youth who very nearly bashes in the head of a sibling at which point the critical thought became: "I could actually sink low enough to hurt my own sister." And that, as Ron so succinctly concluded, "is enough." Thereafter, he explains, one is looking at an individual who has indeed abrogated a sacred contract with himself  to be ethical, decent and respectable  and therein lay the critical point of decline. 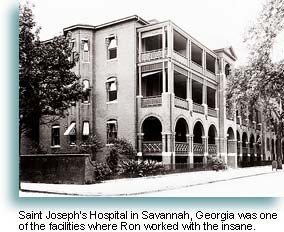 For the next several months, and continuing in Savannah, Georgia, where he worked with the criminally insane inmates of the state institution, this matter of the criminal common denominator became a definite point of study. In an especially evocative description of work through this period, he spoke of searching out that sad turning point in every life of crime, following a "long, long track" to the critical crossroad where the criminal first lost his belief in himself as a decent and honorable person. Because the moment a man loses that pride of goodness and sense of honor, he explained, "It doesnt matter what he does to anyone, including himself." As we shall see, he would eventually have much more to say on the subject  on the futility of imprisonment, the barbarity of capital punishment and a psychological interpretation of violent behavior that inevitably translates into police state. But the central realization from these days  the primary latchkey to the resolution of crime  that would remain firm: if one sincerely hopes to rehabilitate a criminal population, he concluded, then this is the factor one must consider: "Where did they lose their self-respect?"